Aleppo Cuisine is a social enterprise, established by Aleppo Compatriotic Charitable Organization (Aleppo-NGO), specializing in the mass production of Syrian-Armenian food in Yerevan, Armenia. Our center will supply the tastiest and healthiest Syrian Armenian food to homes, businesses, supermarkets, and special events across Armenia, and seeks to become the largest Aleppo cuisine provider in the country. Aleppo Cuisine’s objective is to alleviate growing and acute poverty faced by Syrian households in Armenia by providing higher wage-earning potential, secured employment, training to enhance skills acquisition, while protecting and advocating for the protection of labor rights in Armenia. We are looking for a Business Manager to lead all aspects of our social enterprise. The Business Manager’s responsibilities include maintaining the cuisine’s revenue and profitability, ensure efficient operation, as well as maintain high production, productivity, quality, and customer-service standards. The ideal candidate will have management skills and experience in both front and back-end of a restaurant or food production center—the manager will be the primary point of contact for clients and will hire qualified staff, set up work schedules, oversee food preparation and make sure the center complies with health and safety regulations. The manager should lead by example and uplift the cuisine’s staff during busy moments in our fast-paced work environment. The Business Manager will report back to the President and Executive Director of Aleppo-NGO. Set production objectives and implement action plans for achieving set targets. Carry out other duties as needed. Education: Excellent knowledge of Armenian is required, knowledge of English, Arabic, and/or Russian is highly desirable. Experience: A minimum of one year of management experience in a restaurant or cuisine is highly desirable. Administration and Management — Knowledge of business management principles involved in strategic planning, resource allocation, human resource recruitment and management, and leadership techniques. Business Planning — Knowledge of business planning for new products and services, including establishment of objectives, target markets, and pricing strategy. Procurement— Knowledgeable in the acquisition of pertinent materials and goods, taking into account required quantities, timing, prices, and storing capacities. Personnel and Human Resources — Knowledge of personnel recruitment, selection, training, compensation and benefits allocation, labor rights, contracting, and personnel information systems management. Sales and Marketing — Knowledge of the principles and methods of promotion, sales generation, and marketing through traditional and social media platforms. Customer and Personal Service — Knowledge of the principles and processes for providing customer and personalized service to ensure satisfaction. Events and Conference Management— Knowledge of events management, including promotion, invitations, room layouts, catering, public relations, and other logistical skills. Product Development — Knowledge of how to create quality products that correspond to the needs of the target market. Food Hygiene— Knowledge of how to safely store, preserve, and prepare food and beverages. Education and Training — Basic knowledge of the principles and methods for training design, teaching and instruction for individuals and groups, and measurement of training outcomes. E-Business— Knowledge of how to promote and drive sales through internet-based platforms. Computer Skills—Excellent knowledge of Microsoft office, POS programs, professional use of the internet. Public Safety and Security — Knowledge of relevant policies and procedures to ensure the security of staff and customers during operations. 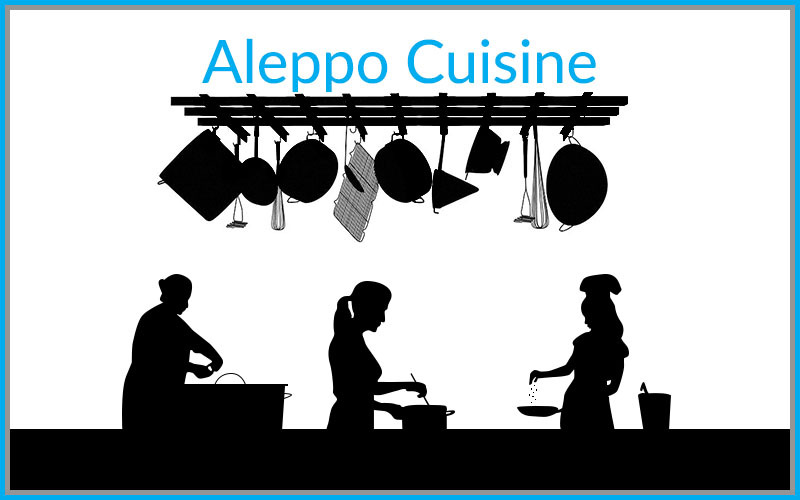 How to Apply: Please apply immediately by sending a Resume/CV indicating salary expectations to career@aleppo-ngo.org, with the following subject line: “Aleppo Cuisine: Business Manager 2018”. The salary for this position is commensurate with the candidate’s experience. Aleppo-NGO is an equal opportunity employer that does not discriminate in its hiring practices. To build the strongest possible workforce, we actively seek a diverse applicant pool and welcome applications from people of diverse racial and ethnic backgrounds, women, LGBTQI persons, and persons with disabilities.